Soundproofing your apartment is a fantastic way to block out sounds coming from outside, especially if you live in a noisy neighborhood or in the heart of a big city. It is also an efficient way of keeping sound in, and enables you to live freely in your living space without having to worry about disturbing others. If you have been wondering, ‘should I opt for soundproofing my apartment’ – the answer is YES! Here are some questions you have about soundproofing your windows. How will soundproof windows make a difference to my room? When you soundproof your home, your noise levels are automatically reduced by between 75-95%. 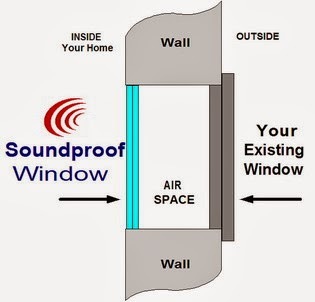 Soundproof windows act as a sound barrier to eradicate your noise problem. By soundproofing your windows, you can do away with 99% of dust, draft, and dirt infiltration, thereby keeping your surroundings clean and protecting your valuable furnishings. What impact will soundproofing my apartment have on my furniture? Soundproofing your apartment will work well in keeping outside elements out of your living space. This helps in effectively protecting any valuable items you may have lying around your home that could be susceptible to damage due to high temperatures and humidity. Things such as artwork, furniture, and computer equipment will last longer. Is it true that soundproofing my apartment can reduce my energy costs? Yes, when you soundproof your apartment, you can reduce your energy costs by up to 30%! Soundproof windows form a perfect seal against your window reveal and therefore provide an extra layer of insulation from the hot or cold air from the outside. This thermal control helps reduce the amount of money you spend on energy every month. And you know you cannot afford not to save money in a recession that seems to march forward for years and years. Does soundproofing my apartment have any impact on keeping the sun out? Yes, soundproof windows contains a special PVB resin that helps not only in reducing the amount of sound that permeated through, but also increases glass safety, and provides 99% UV protection from the sun’s damaging ultraviolet rays. This is a poignant and awesome benefit, especially if you live in a place that an experience very high levels of heat. Can I open soundproof windows? Yes, soundproof windows are just like any other windows and can be opened and closed as and when you please. In fact, you can say that these windows are even better than regular windows, because it keeps unwanted noise out. When soundproofing my apartment, do I have to replace my existing for new ones? Most often you don’t. Soundproof windows are supplementary windows that are placed behind your existing windows. They open and close in the same way your traditional windows do. Therefore, there is no real need to replace or remove your window to eradicate noise problems. Soundproof windows are acoustically engineered to act as a sound barrier and offer most of the dual paned replacement windows do. They are much more efficient in keeping sound out than any other means. So install soundproof windows with CitiQuiet and enjoy the many benefits of a noiseless environment.